After intentionally unleashing an illegal knee to Jorge Rivera’s dome, spitting in the direction of Rivera’s corner and taunting his mortal enemy in his battered face, UFC president Dana White hit Michael Bisping back where it hurt the most – in his pocketbook. “I talked to Mike,” White told MMAFighting. “I’m not the athletic commission, they are the ones who impose fines and do all these other things. But what I did to Michael Bisping – not a lot of people know, but a lot of fighters know. The fighters who fight for me know exactly what I’m saying when I say this, Mike Bisping didn’t get a bonus. White is likely alluding to confiscating Bisping’s ‘Win Bonus’ for his impressive 2ndRound TKO victory on February 27th. UFC 127 took place in Sydney, Australia and was overseen by the Combat Sports Authority of New South Wales. The UFC was not required to release the athletes’ paydays, as customary with all shows that take place in America. The last time Bisping posted a win stateside, he was paid $190,000 for his victory over Dan Miller at UFC 114. That total included a $15k win bonus. 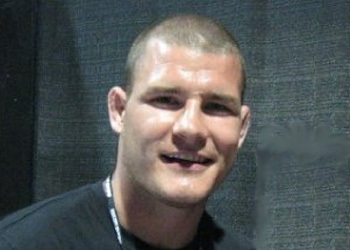 White reiterated his belief that Bisping intentionally threw the illegal knee in the opening round and meant to hit Rivera’s cornermen when he hocked his loogie. Bisping had previously denied doing either, but “didn’t even go there” when he and White had their powwow. “I let him know what I thought about it and what I expect from him in the future,” White said in closing. No word on when Bisping will return to action.